What is Vitalizing Eye Complex Cream? Vitalizing Eye Complex Cream is an eye treating formula resulting from an advanced restorative technology. It is designed to handle inflated dark rings resulting from topical hyper coloration linked to cutaneous sediments of melanin or iron through the working of Holyxy1TM and soybean protein responsible for stretching of the skin. The product is also able to eliminate wrinkles with the aid of Dead Sea minerals, peptide complex, and vitamins. Who is the Manufacturer of Vitalizing Eye Complex Cream? Vitalizing Eye Complex Cream is a product from Deep Sea Cosmetics Company. It is located in Florida. Shay Sabag is the president of the company and Tziyona Cohen the Vice-President. The company is well known of it Dead Sea minerals, aromatic oils, and plant extracts. Vitalizing Eye Complex Cream has been created as one of the company’s beauty products and due to its well chosen ingredients; it has supersede all other products in the market. The company has produced the formula with pure and natural herbal ingredients to ensure users suffer less side effects from the product. The product is designed to treat dark inflated rings on the eye skin and moisturizing the skin to eliminate wrinkles. So far the company and users are pleased with the product. Vitalizing Eye Complex Cream Ingredients – Are they Safe & Effective? Soybean protein – It promotes the elasticity of the skin. Dead Sea Minerals – It help in creating a moisturized skin. HaloxylTM – It boosts the elasticity of the skin. Peptide Complex – It moisturizes the skin to eliminate wrinkles. Vitamins – It moisturize the skin to end wrinkles. Vitalizing Eye Complex Cream Review- Does it Really Work? The product contains very active ingredients. HaloxylTM and Soybean proteins leads to elasticity of the skin while additional ingredients; Dead Sea minerals, peptide complex and vitamins cause moisturizing of the skin bringing wrinkles into an end. What are the Advantages of Vitalizing Eye Complex Cream? Eliminates wrinkles giving a beautiful appearance. Diminishes dark and inflated rings on the eye skin. Can be used by either gender. No age restriction. What are the Disadvantages of Vitalizing Eye Complex Cream? How Should You Use Vitalizing Eye Complex Cream? Smear little amount of the product around the eye by use of fingertip and rub gently to absorption. It can be used either in the day or night purely or accompanied by a beauty product. For reliable outcome, use each and every day. How Much is Vitalizing Eye Complex Cream? 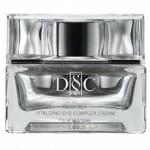 Vitalizing Eye Complex Cream is the latest eye treating product from the Deep Sea Cosmetics Company. It has been formed from natural herbal ingredients. This ensures its safety of use. The product is purposed to aid it two processes. One is to eliminate the dark inflated rings around the eye that are linked to cutaneous sediments of melanin or iron. Secondly, it causes moisturizing of the skin leading to diminished wrinkles around the eye. The product has been liked by many users who have tried it though little has been provided regarding the manufacturer. The product so far has led to no awful side effects. The distribution is done through an official website. Eye treating creams are numerous in the market. Consumers should not wholly depend on vitalizing eye complex cream alone. They should research more to do a comparison of the products and make a right decision.